Happy Easter and April 1! 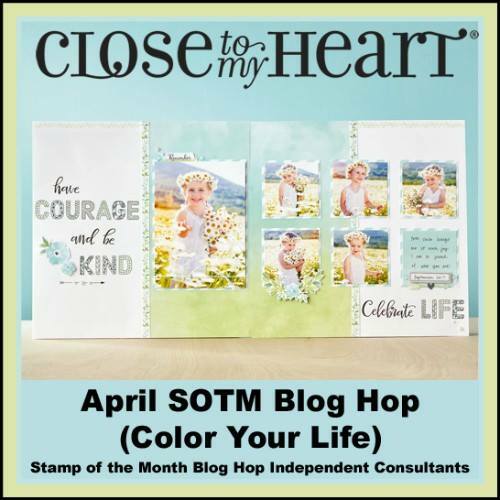 Welcome to this month's Stamp of the Month Blog Hop where we are featuring this wonderful stamp set, "Color Your Life". The card was kept relatively simply in order to draw attention to the sentiment. Life is sometimes challenging with all that can be thrown our direction. It's at those times that we should remember to celebrate life and remind ourselves of our many blessings. I hope this card brings a little bit of happy to your life today. 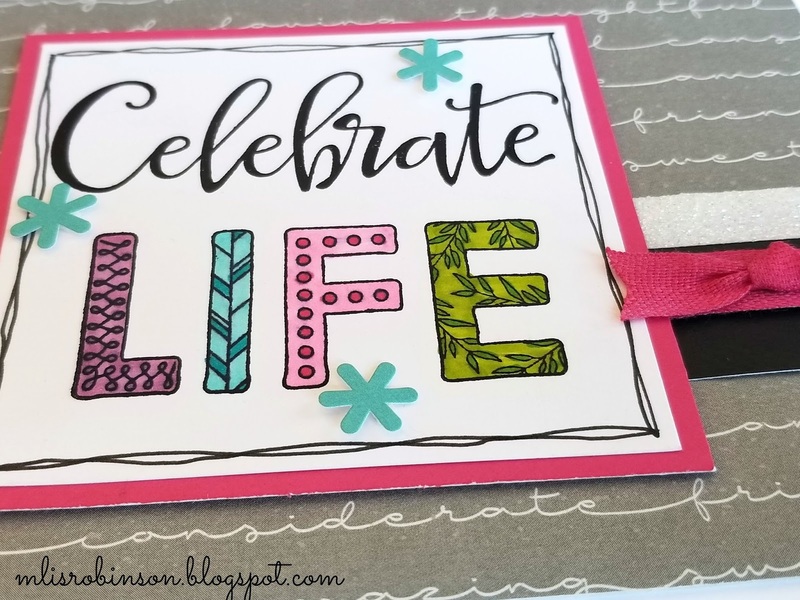 I used patterned paper from our Basic Fundamentals paper pack and accented it with Raspberry cardstock (I love this beautiful and bright color) and White Shimmer Trim. 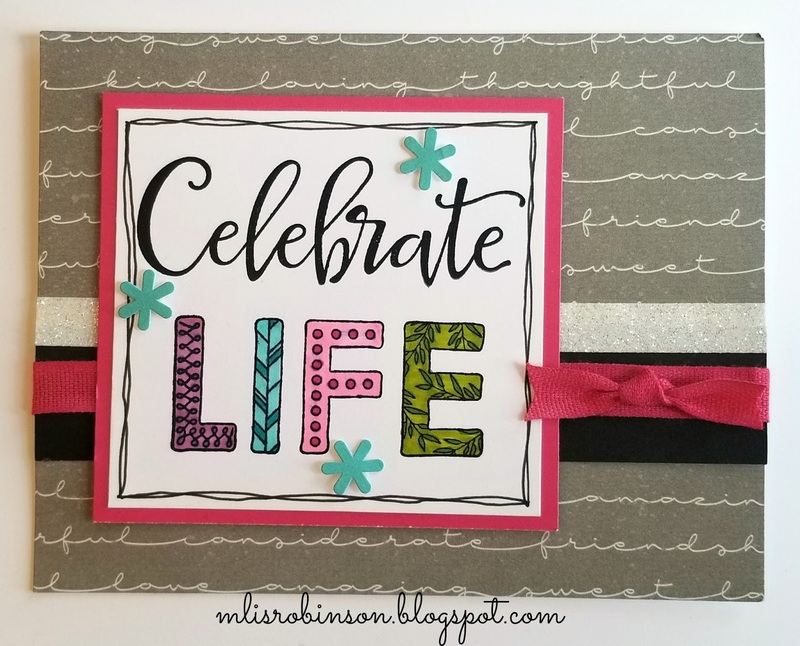 The coordinating ribbon was created by using the Cherry Pink Shin Han Marker on Cream Ribbon. One of my favorite techniques is being able to take some of our white/cream products - ribbon, Dots, etc. - and using the markers to make them any color I choose. Shin Han Markers were used to color the letters that come with some fun texture inside of each one. The Lagoon accents are leftovers I had from the Make Waves Complements. Thanks so much for stopping by! Before heading over to Wendy's Blog, consider leaving a comment. I appreciate and enjoy blog love, knowing your thoughts on my artwork. 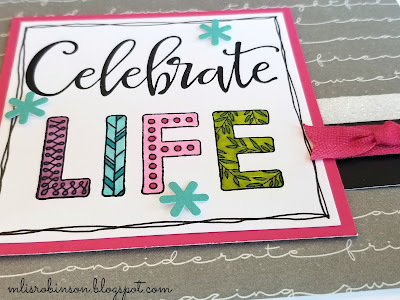 Have a blessed and wonderful week/month and don't forget to...celebrate life! Love the brightness of your card. It makes me smile. I'm so glad it does, Michelle. Thank you for saying so. Thank you so much for saying so, Emily. I'm glad you do. hee hee You're welcome! Just thought I would incorporate those cute things! Thank you for your sweet comment. Lovely! I love your coloring and how you match the cream ribbon!! Wonderful card. Well thanks so much, Cat. I appreciate your comment! 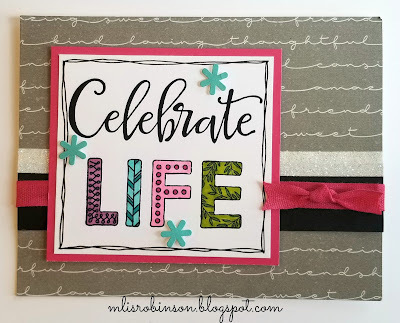 Love when we can color ribbon, dots, etc. 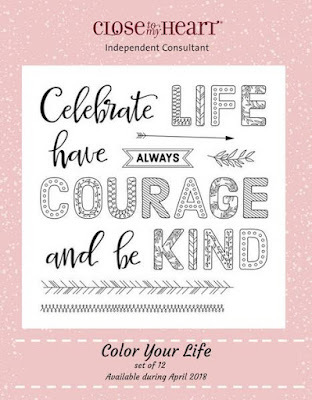 and make them any color we desire. 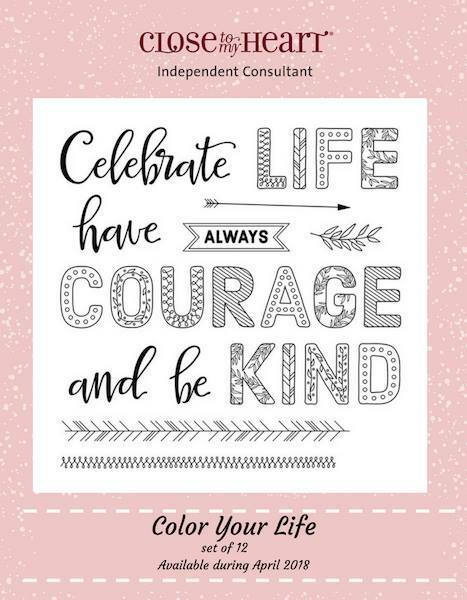 I love the bright colors with the gray background, beautiful card! Create THREE Layouts in 35 MINUTES! Get FOUR Stamp Sets FREE in April!